Adopting a pet rat is not a decision to take lightly. It involves a personal investment in terms of both daily care of the animal and at the level of personal research you need to better meet its needs. Many people, particularly adolescents, are tempted by this animal inexpensive to purchase, without prior information, and many of his rats find themselves abandoned. 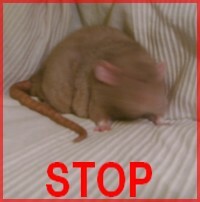 - Are you informed about the needs of pet rats ? - Do you have the financial ability and the time to meet the needs of pet rats? - Are you ready to take on veterinary expenses (which may soon be very high)? - Are you aware that the rat is a rodent and therefore he could do some damage? 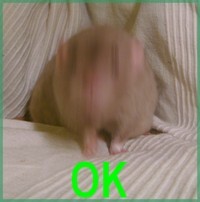 - A rat lives 2-3 years on average, are you sure you never get tired before? - A rat has a short lifetime, you are emotionally strong enough to withstand the so rapid lost of a companion to whom you're attached to? - Your entourage, including people living with you or the owner of your home... Do they accept the idea that you have a pet rat? you might consider adoption. you aren't yet ready.